Patients who come in for radiation therapy are often familiar with the experiences that a friend or loved one had with the treatment many years back; they might have witnessed that person struggling with the effects of treatment and are now concerned that they too will have a similar experience. Yet, within the past ten years, modern medicine has advanced significantly in the field of this cancer treatment. For example, recent breakthroughs have allowed professionals a greater measure of accuracy when performing the therapy. They are now able to locate and treat the target with more precision; this means many of the side effects that the patients would experience after undergoing this radiation a decade ago can be avoided today. Image-guided radiation therapy (IGRT) is one of the newly developed technologies that was not available for patients years ago. This technology offers two different treatment approaches: implant fiducial markers in the target and align with those markers when performing the procedure, or perform a series of cone beam CT scans and use the resulting images to line up to the target by a precision of within one to two millimeters. In intensity modulated radiation therapy (IMRT), the machine used for administering the treatment features approximately 120 small “fingers” through which the radiation passes. The positioning of these fingers are determined by the contorting that the physicians perform on the patient prior this procedure; they identity where the target is and is not. As the machine moves around the patient, each of the fingers moves independently, modulating and shaping the dose depending on the constraints provided for the tissues inside the pelvis. 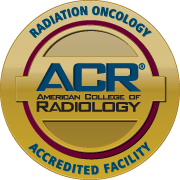 Both image guided radiation and intensity modulated radiation therapy are technologies that have enabled modern cancer treatment specialists a degree of accuracy and precision that is much improved in contrast to that which was had only a decade ago. The target can be better pinpointed and reliably lined up to, and radiation doses can be administered with greater exactness. The result is that the target gets treated with a more complete dose while granting more protection to the surrounding organs and tissues. Technological advancements enable prostate cancer patients to experience far fewer side effects today than they would have had even just a few years back. For this reason, it is important for patients to receive their care at facilities like Advanced Prostate Cancer Institute where only cutting-edge, state-of-the-art technologies are used.